The NPF has changed over the years. In 1938, the festival was three days long, culminating on Armistice Day (Nov. 11). There was a beauty pageant, a community banquet, a 34-float parade, a Grand Ball, three showings of the community play (with a cast of 400 locals) “Parade of the Years,” and a keynote address by Dr. George Washington Carver of Tuskegee Institute. Post-War Prosperity ensured the NPF’s longevity, though to the early board members it must have appeared not so much of a sure thing. Subsequent festivals kept all the features of that first one except the “Parade of Years” play, and added other features as the area population – and competition for visitor dollars – grew. The NPF stressed local civic identity throughout the years, and grew in the face of the trend of other civic festivals to lose audiences to other, diversified entertainments and spectacles like college and professional sports. By 1998, the National Peanut Festival was a nine-day event, with 130,000 attendees, and by 2016 counted 160,000 visitors. In 1953 the NPF added its carnival midway that featured rides and sideshows, and now highlights “fair food” like homemade kettle chips and corn dogs. Three years later, it added an Agricultural Exposition and received recognition from the Alabama Fair Association. The displays, calf scramble, and greased pig chase still draw crowds. By 1959, the NPF had outgrown its annual search for a venue and settled down at the newly-built Houston County Farm Center until it moved again in 1999 to its current home on US Highway 231 South. Throughout its existence, the National Peanut Festival has emphasized the area’s agriculture and its people. It continues to host a beauty pageant and parade. It Came from the Archives is an ongoing series spotlighting the fascinating collections at the Wiregrass Archives. To find out more, visit online at https://www.troy.edu/wiregrassarchives or in person in Everett Hall on the Dothan Campus. 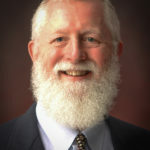 Dr. Martin T. Olliff is a Professor of History and the Director of the Wiregrass Archives at the Dothan Campus.